101/2″W × 51/2″. Made of tex-o-leather vinyl material with black nylon zipper, black chain stitching & seamed bottom. 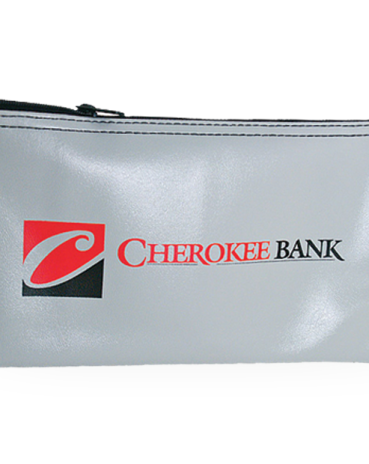 American made bank bag for legal documents, cash, payroll checks, mini catalogs, office suppliesand more. 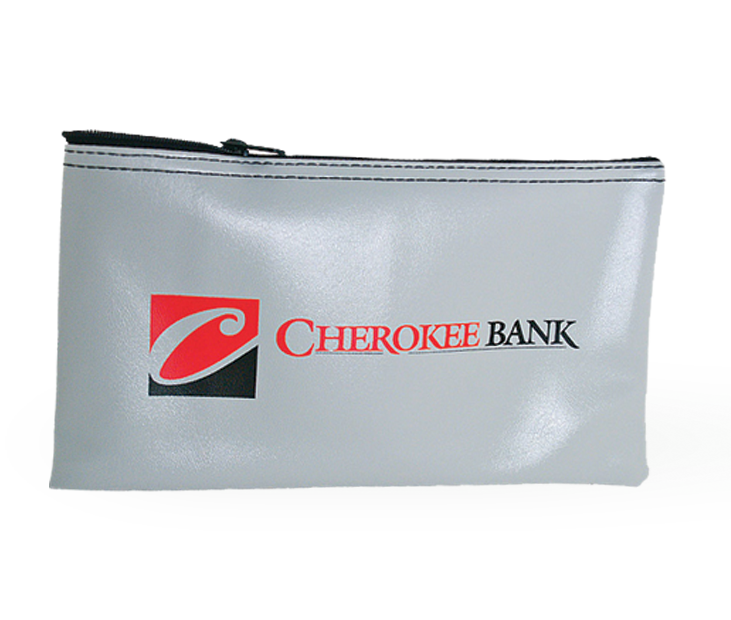 This zippered bag is a great carry all for cash, coins, credit cards, checks, cash drawer contents & more. Made in the USA!